An Islamic organization long accused of being part of the Muslim Brotherhood's network in America has been caught trading in lies as part of an effort to ensure the Brotherhood is not designated as a terrorist entity in the United States, according to information obtained by the Washington Free Beacon. The Council on American Islamic Relations, or CAIR, a Muslim advocacy group that was named by the U.S. government as part of a vast network supporting the terror group Hamas, recently launched an effort to block a bill that would formally designated the Muslim Brotherhood as a terror organization. Many other countries, including Israel and Egypt, have already approved similar legislation. In its efforts to block the bill and smear Sen. Ted Cruz (R., Texas), the senator spearheading the designation effort, CAIR recently claimed that the bill "was written by a disgraced former FBI agent who has made a career out of bashing Muslims and Islam," according to a CAIR press release. "The fact that Senator Cruz's current legislation has its origins in the conspiracy theories of a notorious Islamophobe serves to prove that the bill is designed as the basis for an anti-Muslim witch hunt, not as a legitimate defense of national security," CAIR Government Affairs Director Robert McCaw said earlier this week. "In response to the false claims of the Council on American-Islamic Relations (CAIR) claiming that former FBI Agent John Guandolo was responsible for drafting my 2014 bill calling for the designation of the Muslim Brotherhood as a terrorist organization, I can state absolutely that Mr. Guandolo had nothing to do with the drafting of the bill, nor did anyone from my office seek his input," Bachmann exclusively told the Free Beacon. "Unable to address the findings of the bill, CAIR is engaged in a transparent attempt to attack this effort through smears and guilt by association," Bachmann said. When presented with Bachmann's denial, CAIR spokesman Ibrahim Hooper moved to distance his group from the false claims, telling the Free Beacon, "Please contact [news website] WorldNetDaily. They made the claim." This, too, appears to be untrue. The original press release specifically attributes the information to CAIR. "The Council on American Islamic Relations (CAIR), the nation's largest Muslim civil rights and advocacy organization, today revealed that the original draft of Sen. Ted Cruz's (R-TX) controversial ‘Muslim Brotherhood Terrorist Designation Act' was written by a disgraced former FBI agent who has made a career out of bashing Muslims and Islam," the group wrote. CAIR's Hooper did not respond to further Free Beacon requests for comment on whether the organization would retract its claims and provide an apology to the lawmakers in light of new information from Bachmann. Cruz told the Free Beacon that CAIR's priorities are misplaced and that it should be working to designate the Muslim Brotherhood as a terror outfit. 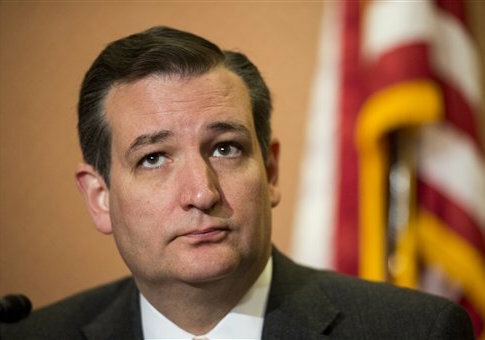 "The Muslim Brotherhood does not represent the Muslim community; they antagonize it," Cruz said. "If CAIR’s true mission is to enhance the understanding of Islam, encourage dialogue, protect civil liberties, and empower American Muslims, it would be of great value to denounce the Muslim Brotherhood, along with its radical teachings and commitment to violent jihad." CAIR has long attempted to distance itself from its alleged role in a massive terrorism case by the U.S. government against the now defunct Holy Land Foundation, which was found to be funneling money to Hamas terrorists in support of the Muslim Brotherhood's network in America. CAIR was identified as an unindicted co-conspirator in the case by the Department of Justice. David Reaboi, a national security expert and political warfare consultant, told the Free Beacon that CAIR's main drive is to stop the Muslim Brotherhood from being designated as a terror group. "As the debate on the Brotherhood heats up, Americans shouldn't be surprised to see those who've argued for decades that Hamas isn't a terrorist group are also adamant that the Muslim Brotherhood isn't one either," Reaboi said. "Designating the Muslim Brotherhood could do more to dismantle the infrastructure of Islamic terrorism in this country than any other single move by the Trump administration," he said. "The Muslim Brothers have been involved in some way in nearly every U.S. material support for terror prosecution in the last several decades. That's one reason why the Brotherhood's allies in America have worked tirelessly to fight the government's ability to stop those who give support to terrorist groups, too." This entry was posted in National Security and tagged Michele Bachmann, Muslim Brotherhood, Ted Cruz. Bookmark the permalink.